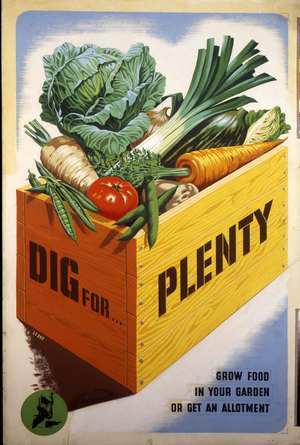 In the July 1945 Dig for Victory monthly guide, the reader is cautioned against relaxing in the summer sunshine and exhorted to keep up the pace in the vegetable garden. 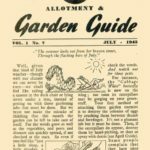 There’s quite a lot to do in July; planting out brassicas and leeks, fighting the pests, hoeing the weeds and generally ensuring the family will be well fed through the coming winter. 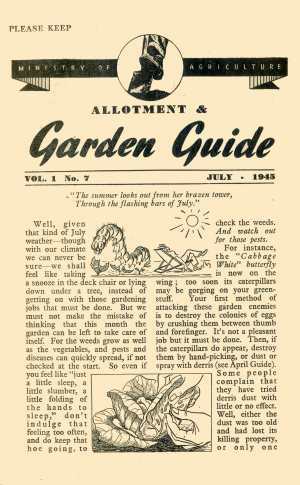 The original July 1945 Dig for Victory wartime growing leaflet consisted of 8 pages which I have followed by reproducing the content onto separate pages. 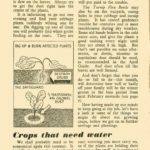 The reader is warned not to relax but to keep on working hard to produce the crops that will be needed in winter. There's advice on dealing with the cabbage white caterpillars. 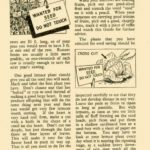 Wartime advice on dealing with pests like cabbage root fly grubs and the turnip flea beetle. 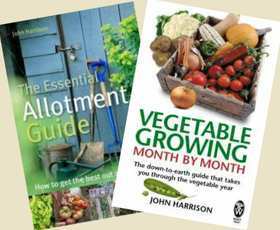 Also seasonal guidance on what crops require watering. 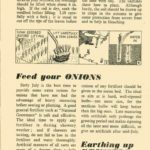 Detailed advice on planting out leeks and feeding onions to get maximum cropping. Also a reminder on earthing up Brussels sprouts. 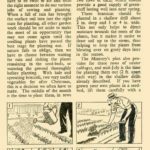 Some summertime tasks to get those vital crops. Spraying the runner beans, harvesting and drying the shallots, try spinach beet and sowing turnips. 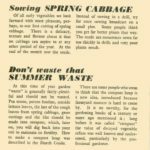 This page from the monthly wartime guide covers successional sowing, spring cabbages, late carrots and reminds about the importance of making compost from waste materials. 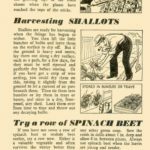 This page concentrates on planting out the brassics, cabbage, kale and sprouting broccoli giving the optimum times and importantly conditions. Some gardeners like having a shot at something new — seed saving, for example. But it is well that they should know that while some vegetable seeds can safely be saved by the amateur, others are best left to the experts. 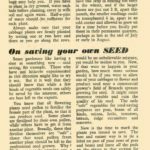 This page discusses how much of the crop should be allocated for seed saving and how to save the seeds ready for producing the next season's crop.